A video showing ´Sadness´ gameplay footage has been leaked onto the internet. 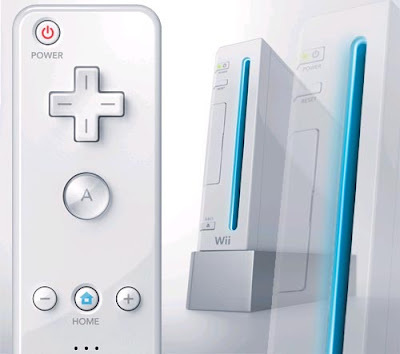 It clearly shows someone playing the game on a Wii development kit. Thanks to Tactics for the alert and GoNintendo for the upload (they have since removed the clip), as well as PrimeBlue for reuploading it. Here it is. This must be seen as the final proof, after I revealed a photo hidden on the Nibris server showing a Wii dev kit. I have also some inside knowledge that ´Sadness´ is real. There are some reasons to doubt Nibris' conduct (and Nintendo is acutely aware of that). But they are a real company with real money and - most importantly - they are a licensed Nintendo developer. This game will be published for Wii. I will go into more detail on this soon. I realise that I have absent for a while again, but I have the best of reasons. It is a little baby boy, a Falafelkidkid, if you will. Well, that is nice way to get back in the swing of things-an exclusive video that can't be seen anywhere else for the time being. Nice work! Congrats on your new baby, I myself am getting married on August 30th. Congratulations, Falafelkid! :) I wish your family many happy years ahead. I wish you and and your family all the best too. And thanks for the news update. Congrats man! also with you telling me that sadness is coming to wii, it has relieved me because srsly this game was the only reason next to mad world for keeping my wii. congratulations, falafelkid. you're so lucky! i get married in 2 weeks, and then it'll FINALLY be time to work on a "superfankid". i know you have a lot going on, but i am sooooo hungry for that nibris article ;) greedy much, tactics? i've always kept a firm belief in Sadness. i must say... it's not the most exciting gameplay video... in fact, it looks very... "alpha build". still, i'm just glad to get some kind of solid confirmation that the game actually exists. after not seeing "raid over the river" for ds, i was getting worried. Glückwunsch zum Nachwuchs! Du wirst bestimmt ein cooler Videospiele spielender Vater. Und auch Glückwunsch zu dienem Blog, ich lese seit Tag 1 in der Revolution-Hype-Zeit mit und finde es echt super, dass du immernoch bloggst. who wants an IALS Kid? hum. odd video. but interesting. i found these leaks xtremely fun. First and foremost congrats on the new baby! I am very pleased to hear and I also have a new baby coming (that makes 3 now) and this one will be a boy! And just wanted to say that and that this is an awesome blog. Many thanks for all the kind comments. Sorry I did not reply sooner. But those little nippers are hard work, I tell you ;) Thanks again, everyone. Congratulations on the new family member Falafel. I've got a hunch you're gonna make a great dad. Cheers mate. There are all kinds brvivqt of other issues which often Oakley Frogskins can arise when you will definitely buy health professional prescribed Oakley Frogskin for the children. Thus, you'll be able to go pertaining to damage resilient Oakley sunglasses. These Cheap Oakley Sunglasses wouldn't get obviously any good scratch no matter the intensity using which these probably have got gone down down. With several online industry available on the internet, buying a new designer Oakley Jawbone eyewear pertaining to men (consequently any company) happens to be Oakley Jawbones as uncomplicated as expressing 1 only two 3. The actual Wiibuy diablo 3 Gold includes a quite diverse account but there is however a huge amount involving often very challenging actions. In truth, zero rivalling console can provide as many emergency scary RS Goldtitles since the Wii console. Why is that? Since they promote.